Welsh FA chief Jonathan Ford claims Uefa politics played a part in Cardiff missing out on staging Euro 2020 games. Glasgow's Hampden Park beat the Millennium Stadium bid by one vote with Wembley staging the final and Dublin's Aviva Stadium also getting matches. FAW chief executive Ford suggested the success of the Irish, Scots and English bids may have counted against Wales. "It's not always about the technical bid is what I've learned, it's down to some politics," Ford said. "We know we had a winning bid, we know we had a very good technical bid. "We always knew that if there was a shoot-out between the British associations [Wales could lose out]. "We're just extremely disappointed we're not one of the ones that went through." Uefa announced on Friday the names of the 13 cities that would host matches in the first pan-European finals. The other host cities that will hold three group games and a last 16 game are Copenhagen (Denmark), Bucharest (Romania), Amsterdam (Netherlands), Bilbao (Spain), Budapest (Hungary) and Brussels (Belgium). "There has been a stark change in mood in Geneva as far as the Football Association of Wales is concerned.Successful bidders Dublin and Glasgow said they would be throwing an almighty party for the Euro 2020 fans when they visit their respective cities.For the FAW, though, there was a sense of shock. A downbeat chief executive Jonathan Ford lamented the 'politics' of the decision-making, maintaining the Welsh bid could not have been stronger." 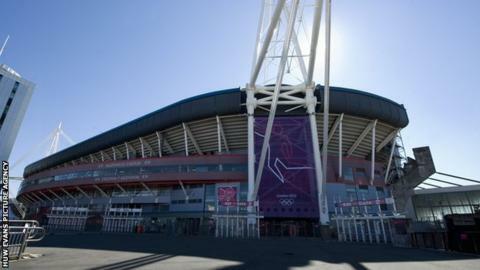 Wales hoped Cardiff would be selected to host group matches and one knockout game. Ford defended the standard of the Welsh bid and said he would be meeting with European football's governing body for feedback. "We're going to sit down with Uefa in due time," he added. "We know that our bid was very very strong technically, arguably in financial terms even stronger than others. "But it comes down to the vote at the end of the day and unfortunately we were not successful this time, but we'll look to be successful in the future." Prior to Friday's announcement, an evaluation report by Uefa praised the Welsh bid but said work was still needed. In an official statement, the FAW added: "We believed that the Millennium Stadium, with its 74,154 capacity and extensive Skybox and hospitality facilities, would have been an ideal venue for Uefa Euro 2020 and provide Uefa with significant revenues. "We also proposed that any surplus generated from Cardiff hosting Uefa Euro 2020 matches would have been invested into community football projects throughout Wales. But we of course respect Uefa's decision."